The United States-Israel Binational Science Foundation (BSF) is a grant-awarding institution that promotes research cooperation between scientists from the United States and Israel. BSF was established by the American and Israeli governments in 1972 by then Israeli Ambassador Yitzhak Rabin and U.S. Assistant Secretary of State Joseph Sisco. Its income is derived from interest on an endowment that the two governments contributed to equally. In 1984 the endowment was replenished, and from that time on it has not been enlarged, despite high cumulative inflation in both countries. Presently, the endowment produces an interest of about $17 million annually. These funds are used to support both Israeli and U.S. scientists who collaborate on scientific projects in the framework of the regular BSF grant program, which has been active for over 40 years. BSF acted to create joint funding programs with the U.S. National Science Foundation (NSF) starting in 2013. Scientists from both countries submit joint scientific research proposals to the NSF and if, selected, BSF uses Israeli government money to support the Israelis while NSF funds U.S. scientists. Specific areas of research include engineering, computer science, natural and life sciences, earth sciences and social sciences. The Israeli government, through the Council for Higher Education supports these NSF-BSF program withapproximately $11 M per year. . NSF is expected to allocate, at least $25 M per year to support American scientists participating in the collaboration with the BSF. This large difference results from the much lower overhead allowed by the BSF, lower salaries in Israel, BSF not allowing summer salary for the Israeli investigators. And lack of PhD student tuition in Israel. How has BSF benefited your state? Since its inception, and in today’s value, BSF has awarded over $600 million to more than 5000 research projects involving many thousands of scientists from more than 400 U.S. institutions located in 46 states, Puerto Rico and the District of Columbia. Many of these projects have led to important scientific, medical and technological breakthroughs with wide-ranging practical applications. BSF has documented many new discoveries made possible by its research grants and counts 46 Nobel Prize laureates among its grantees, 7 recipients of the Turing prize in Computer Sciences, and 7 Fields medalists in mathematics. Shimon Peres, former President of Israel, noted, "The support of the United States-Israel Binational Science Foundation will prepare the next generation of U.S. and Israeli scientists for a leadership role in our global community." Most of the projects that BSF funds are in basic research; however, grants are also given to applied and technological research in Life Sciences, Natural Sciences, Social Sciences and Exact Sciences. Proposals are submitted by individual scientists through their institutions, and are evaluated on the basis of their scientific merit, as well as the degree of cooperation between the researchers. Grant requests can be made for a period of up to four years. Proposals are evaluated by a peer review process. Assistance in the review and evaluation of proposals is rendered by science advisers. Ad hock science advisers are recruited from among senior research scientists in Israel and the U.S. Each of them is assigned a group of proposals in his or her field of specialization with the charge to select suitable referees from around the world. Final recommendations for grant awards are made by the 36 science advisers' panels in the various areas of research. Based on the available resources, the Board of Governors of BSF, consisting of an equal number of Israelis and Americans, decides how many grants will be given each year and what would be the average grant size. BSF sponsored studies are highly successful in achieving their two main goals: strengthening the U.S.-Israel partnership through science, and promoting world-class scientific research for the benefit of the two countries and all mankind. BSF grants help extend research resources to achieve milestones that might not otherwise be attainable, as well as introduce novel approaches and techniques. For the American scientists, the grants lead the researchers in new directions; confirm, clarify and intensify research projects; and provide unmatched access to Israeli knowhow and research results that help speed American scientific advances. For Israeli scientists, BSF opens the door to the world scientific leader, and provides access to facilities and knowhow that are not available locally. Israel being a small country with limited resources makes this service that BSF provides to the Israeli science community of tremendous value, which is reflected in the very large number of applications it receives. As of 2001/02, pursuant to the Board of Governors resolution, submission of grant applications is on a split-program basis, namely: the eligibility to submit applications is limited, in alternate years, to either health sciences, life sciences and psychology or to exact, natural and social sciences. Prior to that, applications were accepted every year in all areas of research supported by BSF. This change became necessary due to lack of sufficient funds, in view of the fact that BSF endowment was last replenished in 1984. In 2016 and 2017, some 750 applications were submitted to BSF. Out of those, some 200 were approved for support. In 2016, BSF announced a new NSF-BSF joint funding program with the Information and Intelligent System Systems (IIS) division of the directorate for Computer & Information Science & Engineering (CISE). With the IIS added, NSF-BSF programs include all the core programs of CISE. In 2017, BSF and the NSF Division of Chemical, Bioengineering, Environmental and Transport (CBET) Systems agreed to expand the current agreement that includes only the Energy for Sustainability program, to include a few more programs. In 2018, in light of the success of these programs, it has been decided to expand it to include the entire NSF CBET Division. The BSF has been active for 43 years. Over $600 million has been awarded by the BSF since it's founding, an average of $16 million per year. 7,400 scientists, and 375 Israeli and U.S. institutions have received awards and grants from the BSF. The BSF has issued more than 5,000 grants. 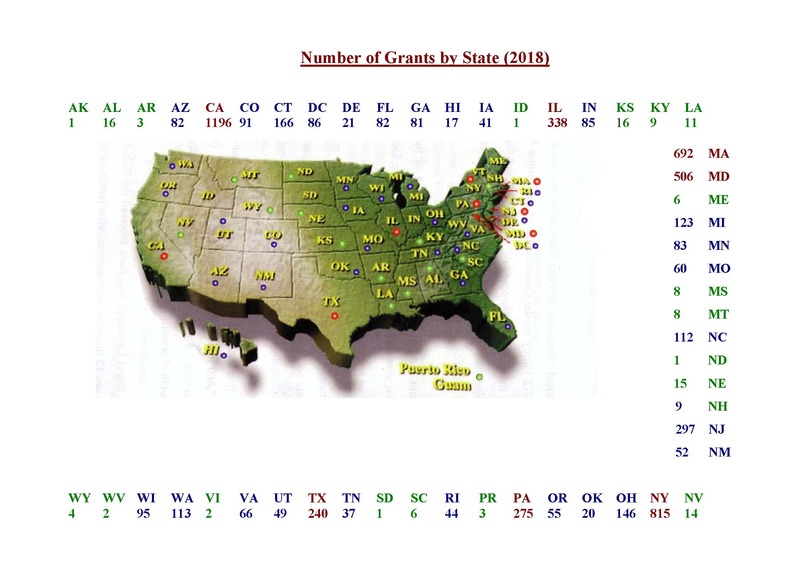 The top 5 institutions that receive grant funding from the BSF are: the University of California system, the University of Michigan, Stanford University, the National Institutes of Health, and New York University. 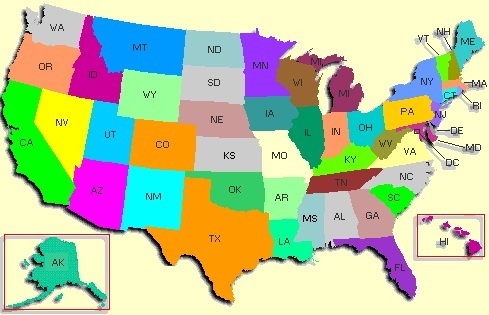 The BSF is most active in New York, New Jersey, California, Massachusetts, and Maryland. Max Schindler, “With more funding, Israeli-US science research grows closer,” Jerusalem Post, (July 16, 2018).